A class assignment took a dangerous turn recently when a high school student was grabbed by a stranger inside the Cherry Creek Mall. That student and his parents say it was an act of racism. 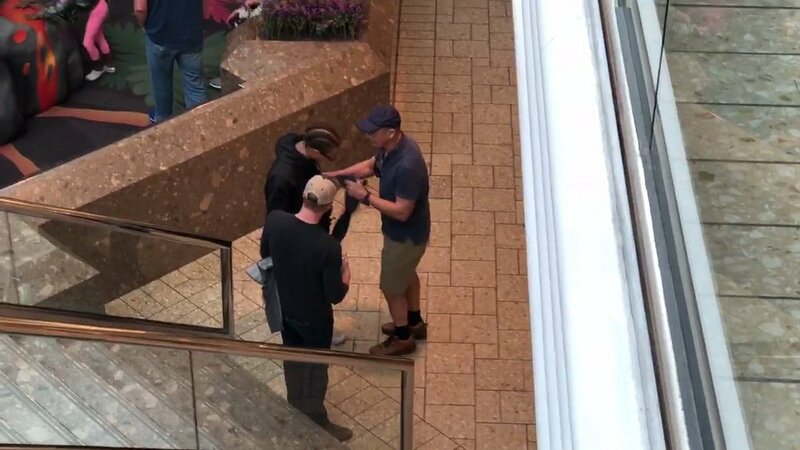 17-year-old Channing Cowan was at the mall with three classmates from his psychology class at Centaurus High School in Lafayette, asking strangers to borrow cell phones. They wanted to see how people would react and whether skin color would impact their response. While conducting the experiment, a man grabbed Cowan by the arm, accusing him of stealing a woman's wallet. The incident was captured on camera. "He actually grabbed me and threatened to whoop my you know what if I didn't give his wallet back," said Cowan. "He was grabbing him and touching him and pulling on him," explained Channing's mother, Alice Cowan. Channing didn't have the woman's wallet. It turns out she had left it inside a store. The woman quickly apologized, but the man and another male friend he was with turned and walked away without apologizing. Alice and Michael Cowan think the man only accused their son of theft because of his skin color. "My heart didn't break because I know it happens all the time, but it was so scary for me because I wasn't there. I know he's a senior, but at the same time he's my baby," said Alice Cowan. "It disturbs me. This is stuff I've dealt with a lot," added Michael. The Cowans would love to speak with the man who grabbed their son. "I want to know why," said Alice. "What if the roles were reversed and I was putting my hands on your child? How would you feel?" added Michael. They hope the video of the incident will open eyes and help people realize racism still exists, even in Colorado. "Lately it just seems like things have gone so far back. We've gone backward instead of forward. People just feel like they can say and do whatever they want to do," said Alice Cowan.